Is the first hybrid compact SUV from Toyota to be launched in the Europe's C-Segment. 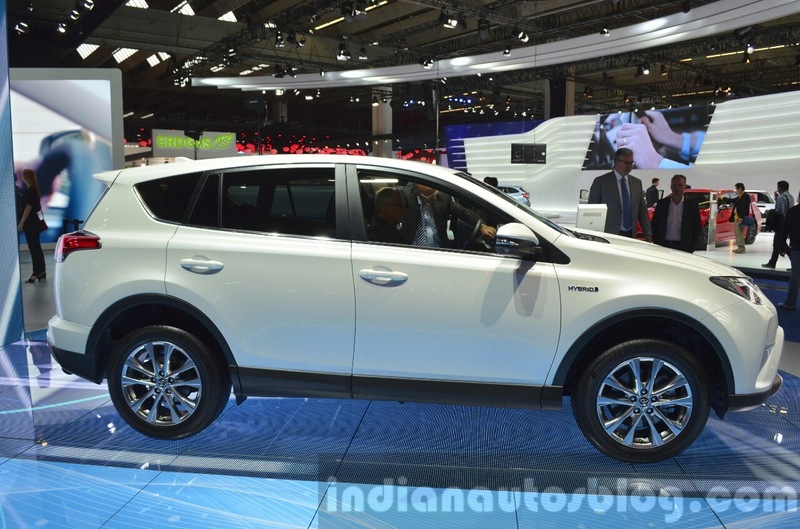 The 2016 Toyota RAV4 Hybrid has been unveiled for Europe at the 66th Frankfurt Motor Show (2015 IAA) today. 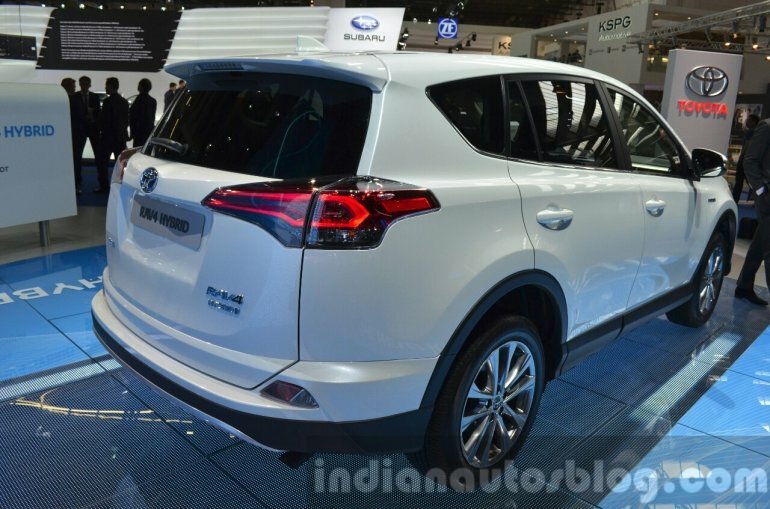 The all-new RAV4 Hybrid debuted at the 2015 New York Auto Show, alongside the (standard) Toyota RAV4 facelift. The new RAV4 Hybrid features a full hybrid drive system comprising of a Euro 6 compliant 2.5-litre Atkinson Cycle petrol engine and an electric motor, developing net peak power of 197 hp (145 kW). Aside from the front wheel drive variant, there is also an All-Wheel Drive (AWD) model that features a second, rear-mounted electric motor. Transmission duty is taken care of by an E-CVT (Electric Continuously Variable Transmission) system governed by Shift-by-Wire technology. The RAV4 Hybrid can accelerate from 0-100 km/h in 8.7 seconds. It delivers a fuel economy of 20.41 km/l, and CO2 emission of 115 g/km in the European version. The new model gets updated styling that includes a revised front fascia with new headlamps, bumpers and grille and shark-fin antenna. The tailgate is now embedded with LED lights. The interior too has undergone refurbishment, by way of better trim materials, improved sound insulation, and technologically upgraded electronic instruments. 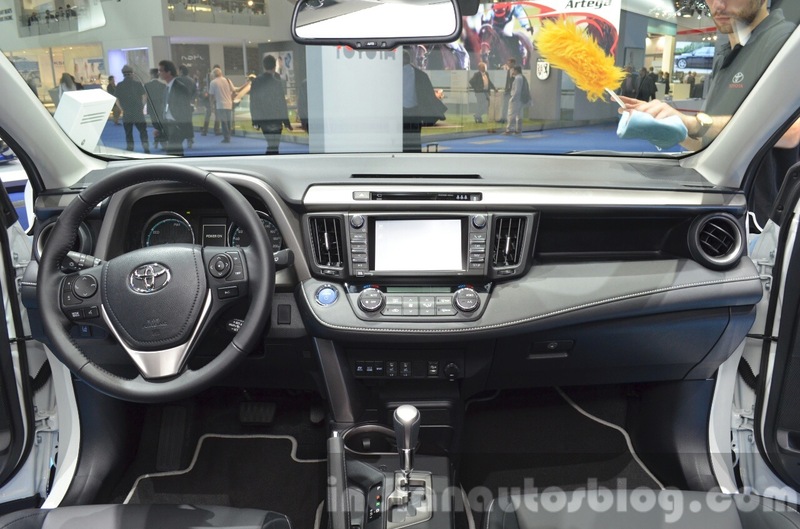 The car gets a 7-inch touch-sensitive display for the multimedia system. 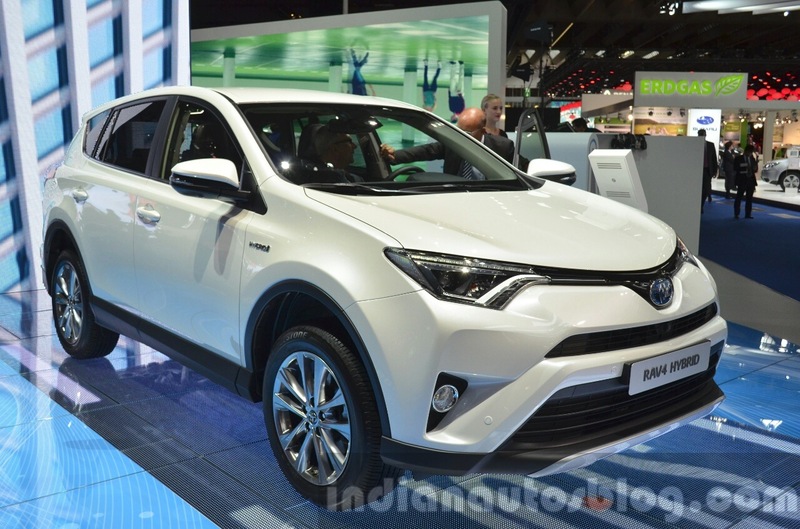 The 2016 Toyota RAV4 Hybrid will be launched in Europe in early 2016. You can get more info in the press release below the gallery.